♥ - 14k Gold Filled Chain and Connections. ♥ - Gold Vermeil Sterling Silver Crucifix Cross, 8 x 15mm. ♥ - Gold Vermeil Sterling Silver Mother Mary Charm, 9 x 14mm. ♥ - Beautifully Dainty Inspirational Set. 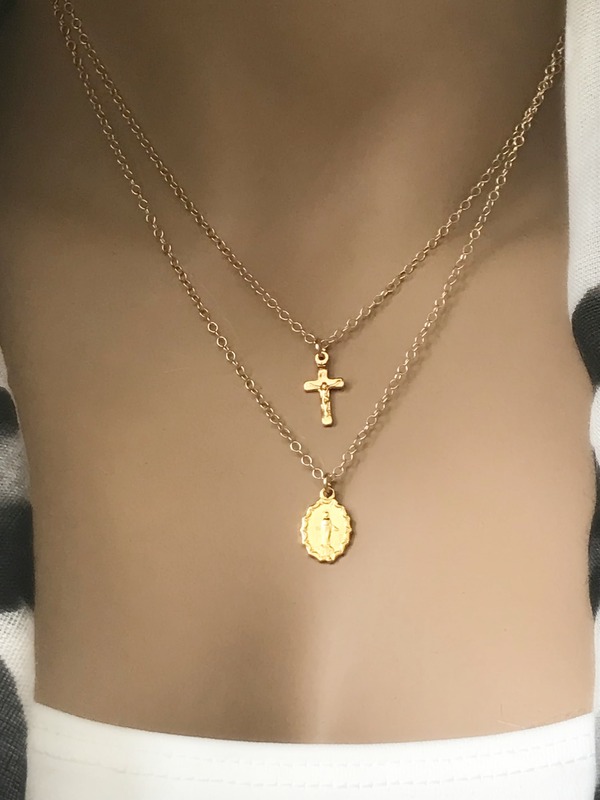 ♥ - Beautifully made artisan formed gold dipped sterling silver medallion and cross set. 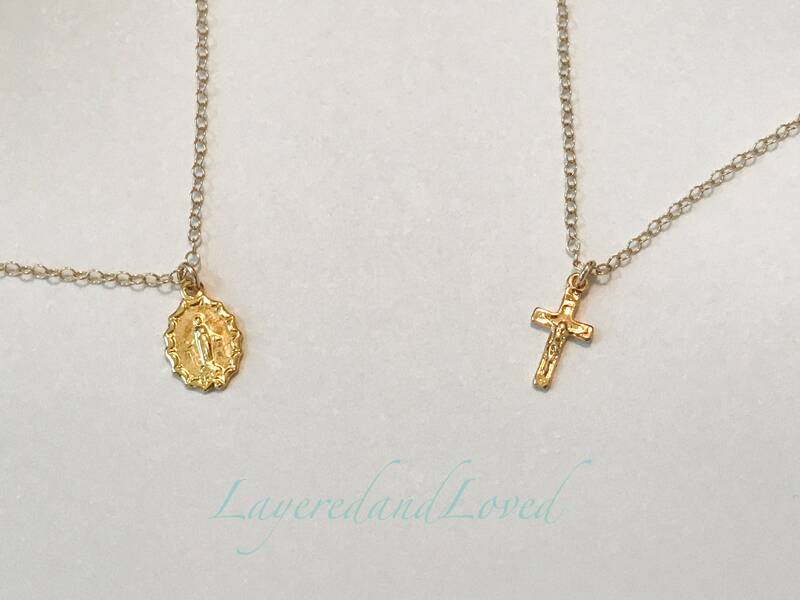 These necklaces are separate, which allows you to wear one at a time or layered with others. 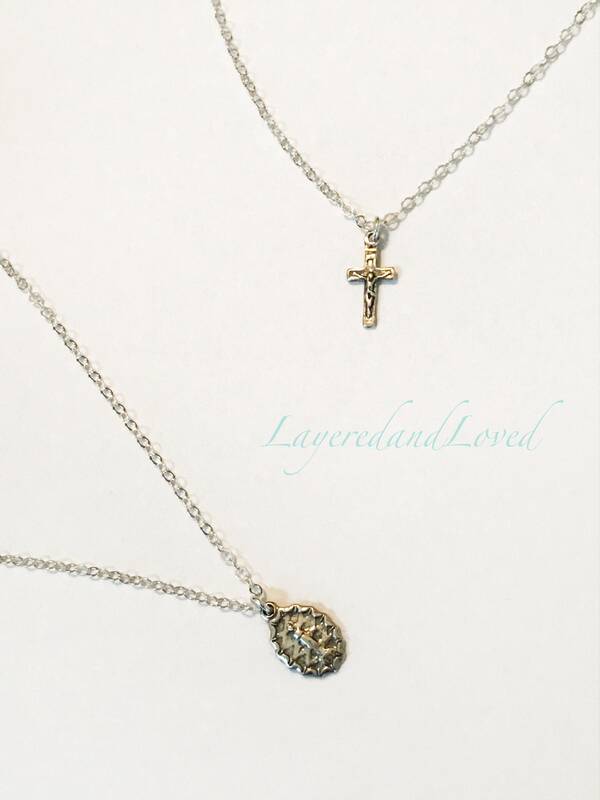 Dainty and light, wonderful traveling necklaces. Choose your lengths in the drop down menu. Length on Mannequin is 16"/19".